The world has not held an Olympic Games since the 9/11 attacks. Therefore, security is very tight and the terror tension is most assuredly very high. Some foreign nations have been agitating against the Greek government to allow them to send in their own armed security guards to protect their citizen athletes. Since the Greek constitution forbids foreign armed soldiers on its soil, this point has proven to be one of contention. Let us examine some of the current stories. "ATHENS (Reuters) - Athens activated its security umbrella on Tuesday for next month's Olympic Games, deploying dozens of armed Patriot defense missiles and switching on hundreds of surveillance cameras. Almost 300 closed-circuit cameras swept the main avenues and squares of Athens while three police helicopters and a Zeppelin airship, equipped with more surveillance cameras, hovered overhead ... Security forces on Tuesday also received 11 state-of-the-art surveillance vans, which will receive and monitor images from around the city. The coast guard will position six of them around the port of Piraeus, where seven luxury cruise ships to be used as hotels will berth during the Games. "Authorities also got two mobile truck screening systems, capable of locating explosives, weapons or drugs in trucks and other large cargo vehicles. They will screen all vehicles bound for any Olympic venue during the Games and the Paralympics ... Greece is putting in place the most expensive Olympic security plan yet, worth more than $1.22 billion. By the August 13 opening ceremony, authorities will be deploying more than 70,000 security staff as well as thousands of cameras to secure the first summer Games since the Sept. 11, 2001, attacks on the United States. Greece has set up a seven-nation security advisory group, including France, Germany, Israel, Spain, the United States, Britain and Australia to provide intelligence and training, and has called on NATO for air and sea patrols. But the government has said there is no indication, or intelligence 'chatter', of a potential attack in Greece during the Games, a statement backed by the international police organization Interpol and the United States." Therefore, besides the fact that no intelligence service of any nation has picked up any indications that Al Qaeda is planning an attack, Greece is still spending $1.22 billion on security! Things are so quiet on the terrorist front that even arch-terrorist Arafat has promised to not send any terrorists to this Olympics. Of course, once the Olympics is over, Greece can use that equipment and the expertise gained by her security services domestically. Athens is so concerned about terrorism that her efforts have been continuing for some time now. Listen to this article about five weeks ago. "Greece launched an Olympic security sweep yesterday, sending in more than 10,000 police to protect sports venues, transport centres and hotels around Athens at the start of what will be one of the world's biggest anti-terrorist operations since the September 11 attacks. Despite continuing construction at many sites, delays that will mean the main stadium will not be fully sealed off until a few days before the games, patrols fanned out around the capital as Greeks marked the six-week countdown to the extravaganza. Some 200 hotels are among the buildings being secured. "By the opening ceremony on August 13, 70,000 security personnel will have assumed posts to safeguard the athletes, officials and spectators, under plans drawn up by a seven-country UK-led taskforce. Each of the 120 venues will be surrounded by a three-tier security zone. NATO will put on extra patrols to guard Greece's skies and seas. Fears of an al-Qaida attack are such that AWACS surveillance planes will fly over the capital monitoring suspicious chatter throughout the 16-day event. 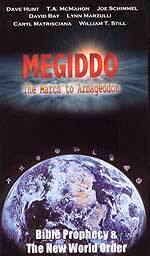 Experts in weapons of mass destruction will also be on standby to guard against a chemical or nuclear attack. The draconian measures will remain in force until the end of the Paralympics on September 28. "Albania has also stepped up patrols along the mountainous border it shares with Greece, with 6,000 officers deployed along the frontier, backed up by another 5,000 inside the Balkan state." In these past months, security concerns have been the most important story of this Olympics thus far. Once the athletic games begin, we hope that the contests will take precedence over the terrorist security preparations. We hope that the fun people normally have at these Games is not ruined by the terrorist precautions. Now, let us turn our eyes toward the really big story: the Modern Olympic Games have been designed with occultism through and through. Once you understand these facts, you will realize that they are designed to condition people throughout the world to accept the coming occultic New World Order. No one enjoys the Olympic Games more than I do. Every four years, both in the Summer and Winter Olympics, I watch, enthralled with the athletic ability of the performers, as they routinely, and beautifully, perform feats that are totally amazing. I think every person should enjoy these games to their hilt. Like few other things in our society, these Olympic Games show forth God's handiwork in creating human beings. Surely, as Romans 1:20, states, God's creation shows forth His attributes, His power, and His glory. Surely, these athletes do prove that we are "fearfully" and "wonderfully" created. However, we shall show today how the modern Olympic Games are being mightily utilized to bring the world into the New World Order. While we cannot say with certainty that this goal was in the minds of the original founders of the Modern Olympic Games, we believe such may, indeed, have been the case. Bear with us as we review some of the evidence. Before we get started, we feel it necessary to state that we do not intend to ruin society's enjoyment in every instance by attempting to join every aspect of society today to the New World Order. No do we find a conspirator under every bed. However, please understand the problems which faced men, like Adam Weishaupt, who wanted to overthrow present Western Society, and institute a society which they called the New World Order. This New World Order is really a return to the Ancient Occultic 'Wisdom' of Egypt and Babylon, a society which was totally Pagan. However, Christian society stood in their way. When the Pagan society of ancient Rome finally fell in approximately 476 A.D., society at all levels changed from Pagan to Christian. Pagan values were replaced by Christian values in Education, Government, Arts, Science, Entertainment, and Religion. To reestablish the Ancient Paganism, Weishaupt and his followers had to attack Western society at every segment of society. This was their daunting task, and it seemed almost beyond the power of normal human endeavor. However, Weishaupt and his followers had supernatural help from Satan, who certainly wanted to destroy the existing Christian-based Western society and set up his own Kingdom. The result has been a movement which envisions a world which is Pagan, totalitarian, and which will fulfill Biblical prophecies about the Tribulation to an incredible degree. But, Weishaupt also had other help, from a totally unsuspecting scholarly source: Edward Gibbon's The History Of The Decline And Fall Of The Roman Empire, Six Volumes, published between 1776-1788. Gibbon's work was scholarly and monumental, as it thoroughly covered a period of history spanning approximately 1,200 years. His goal in producing this study was to precisely catalog the reasons for the rise of the Roman Empire and the factors leading to the decline and fall of the Empire. Gibbons was universally hailed as achieving his objective brilliantly. Truly, no greater historical study has ever been created, before or since. But, Gibbons not only created a document which details how and why the Roman Empire rose and fell; he created a document which detailed precisely how a successful and powerful Empire could be subverted and destroyed. And it was published in the precise time period (1776-1788) in which Weishaupt was beginning to formulate his Plan to overthrow the existing Western system of government and religion. 1. The dramatic increase of divorce undermined the institution of the family. 2. The imposition of higher taxes undermined the economic stability and vitality of the Empire. Why were the taxes raised to such ruinous levels? To pay for deficit government spending, to pay for food for all in society and to pay for government-sponsored activities of diversion, such as circuses and sports. Interestingly, as the time of the final collapse drew closer, greater emphasis was placed on sports, to divert the attention of the public from the distressing news of massive trouble within the Empire. 3. The drive for personal pleasure had become very intense, even to the point of obsession. Gibbons noted that, at the very end, sports had become more exciting and brutal. 4. People lost their faith, both religiously and in their government. Paganism gave way to Christianity and the efficient Roman Government gave way to chaos and disintegration . 5. 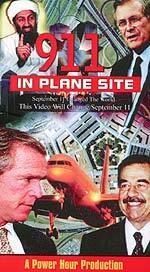 Hidden conspirators were working within the government to secretly destroy it. They worked quietly, invisibly and deceitfully; during the entire time they were secretly dismantling the government of the Roman Empire, they publicly proclaimed their unswerving support of it. Let us now return to the Modern Olympic Games, and their role in promoting the New World Order. As we have stated many times, the last time Satan attempted to bring the world into a One-World Government and Religion was at the Tower of Babel. 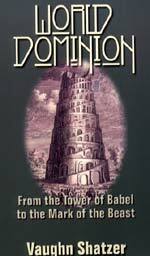 This tower was being constructed by Nimrod as a religious altar/temple, to be used in the Satanic Babylonian Mysteries. God thwarted this plan by confusing the languages so that the workers could not communicate effectively enough to complete the project. Very quickly, the people who could communicate with one another began to coalesce into groups, beginning to physically move to other locations, away from the groups which spoke different languages. Very soon, this physical relocation resulted in a spreading of peoples throughout the world. In a relatively short time, physical isolation from other peoples, coupled with the difference of language, resulted in the establishment of different values and different ways of looking at things. We call this culture. God utilized differing cultures to permanently prevent the world coming together again to establish a One-World Government. Differing cultures prompted by differing languages and geographical distances, proved to be formidable barriers to the establishment of a One-World Government Economy, and Religion. Yet, the Bible states that, at the End of the Age, God will again allow Satan to briefly reunite the world into a just such a One-World Government, Economy, and Religion, in a time called the Great Tribulation. This dictatorial kingdom, God promises, will only last 7 years, in large part because its effect will be so terrible that if God were to allow it to continue for any greater length of time, no human being would be left alive on the earth. How, then, does Satan remove the barrier of differing cultures and languages?One of the most successful ways in which to unite the world's differing governments and cultures, and to condition the peoples of the world to the concept of a global society, is through global sporting programs. The Modern Olympics was the first and most important of these global sporting programs. New Age writer, Allen Neuharth, captures this concept very clearly in his recent book, "Nearly One World", published in 1989. Neuharth states, "Sports goes beyond political and racial realms: It brings the world together." (Nearly One World, Allen Neuharth, USA Today Books, Doubleday, 666 Fifth Avenue, New York, 1989, p. 25). In fact, "sports is more than a pastime. It's a passion. A way of life." As Neuharth was describing the tremendous dedication which athletes are devoting to the training for global sports, I realized he was talking about a dedication and a zeal which had always been associated with religion. Olympic athletes, for example, train 6-7 days a week, for 2-8 hours daily, to prepare for the chance to win a gold medal. How many Christians in today's world, but especially in America, show such dedication? Most American Christians today do not even read their Bibles on a daily basis, nor pray regularly. Yet, the Apostle Paul states that, while physical training for sports competition is temporarily useful in preparing to win a prize which will fade away, spiritual training is infinitely more important, because it will win for us a prize which will last eternally without fading or deteriorating. Neuharth continues to examine the effects of global sports programs. Small countries view these programs as a way in which to gain recognition and respect throughout the globe, and as a way in which to galvanize their peoples into exhibiting a national pride. Many people will overlook the failings of their economy if they feel their government has provided the leadership and resources which allow their national athletes to successfully win medals and championships . As examples, Neuharth cited Costa Rica's Sylvia Poll winning a gold medal in the 1988 Olympic Games, the Irish team winning the European Soccer Championship in 1988, and how proud the South Pacific Island, Pago Pago, felt as it prepared its first-ever team to compete in the Olympics. He stated quite boldly, "Few things move us toward unity more surely than the flame, fame, and flags of the Olympic Games. It's also not uncommon to find sports teams from one country playing in another -- even if their governments disagree politically." Olympic athletes display a unity and a common spirit with athletes of other races and countries, because they share the same dormitories, meal facilities, and the same competition. Thus, we now know that the drive to the Pagan and Satanic New World Order is being greatly enhanced by the Modern Olympic Games. The original Greek Olympic Games were a pagan religious festival to honor the Greek god Zeus. Are the Modern Olympic Games also constructed along pagan lines? We submit to you that they are, as we can easily see by examining their symbols. The Pagan places great emphasis upon symbols, because they secretly communicate Pagan spiritual knowledge to the initiated while simultaneously hiding such knowledge from the uninitiated. Let us examine the symbols of the Modern Olympics. The Olympics utilizes three symbols: 1) The Interlocking Rings; 2) The Flame; and 3) The Dove. I find it interesting that three symbols are utilized, because three is a critically important number to the Pagan. In fact, it is so important that he worships the number, as it is the number of the Pagan Trinity (Satan, Antichrist, False Prophet). 1. The Interlocking Rings are supposedly symbolizing the ring competition of the sport of Gymnastics. However, I submit to you that these are not rings, but circles. The circle carries special meaning to the occultist, because it symbolizes the number zero. Madame Blavatsky wrote in her book, Isis Unveiled, that "Numbers are a key to the ancient views of cosmogony... all systems of religious mysticism are based upon numerals. The sacredness of numbers begins with the Great First Cause, the One (1) and ends only with the... zero -- symbol of the infinite and boundless universe." (p. 407). Zero symbolizes that happy state of the man who has finally reached that condition of being born again through his own occultic efforts. All occultists from all time have believed that salvation, or spiritual perfection, is to be achieved by one's own efforts, utilizing the "true" spiritual knowledge contained within the occult. In the Olympic Rings, we see these meanings symbolized. But, now we need to look at the rings more closely. Why are there five rings? Why not another number? Is there an important occultic meaning in the number five? Indeed there is. The number five is associated with the five-pointed star of Venus (Van Buren, The Secret Of The Illuminati, p. 38), and with that most famous of five-pointed stars, Satan's Pentagram. Further, Westcott emphasizes in his book, The Occult Power Of Numbers, that the number five represents spiritual light, and as such, it unites in friendship the two forms of even (the number 2) and odd (the number 3). Is this not the concept of the Olympic Games, to unite in friendship all the peoples of the world, regardless of race, creed, or politics? We are now getting closer to understanding the symbolism of the Olympic Games. Interlocking Rings also symbolizes the "Interdependence" of all races of the world, another favorite New World Order Theme. 2. The Olympic Flame is also an occultic symbol. It is associated with Ancient Rituals, including human sacrifice. Trevor Ravenscroft, in his occultic masterpiece, The Spear Of Destiny, records that Hitler conducted his open-air stadium meetings as a Satanic Ritual. The last event in these rituals was to march to an open-air flame and bow down to it. This open-air flame was virtually identical to the Olympic Flame. 3. The Dove carries strong occultic meaning. Most Christians look upon the Dove as the symbol of the Holy Spirit, and so miss the occultic meaning. Van Buren states, "The dove then... was the symbol of the Cosmic Energies that flowed from the Mystic Centre of the Cosmos... which unites the mystical and scientific realization of the Powers of the Universe. In the Mysteries the dove symbolized the second person of the Trinity and was sacred to the Goddess. Not only did it represent purity and innocence but also Wisdom." (p. 135-138). Who is the Second Member of the Pagan Trinity? The God Mother, the Goddess. Thus, the Olympic Dove represents Goddess worship, which has simply exploded during this century. Finally, the Pagan Dove serves yet another purpose: To deliver the Pagan Host from the earth to heaven in Pagan Ritual, carrying the Host in its mouth. Thus, the Modern Olympic Games is just as occultic as the original Greek Games. Furthermore, the Olympics are being deliberately utilized as a vehicle to overcome the difficult barrier of differing cultures and languages, paving the way for the establishment of the New World Order. * Football, once thought of as an American sport, is now be played on a professional level in Europe and the former USSR. * Baseball is as much a passion in Japan and in the Third World as in the United States. * Gymnastics is far greater an obsession in other countries as in the United States. In most of these sports, national stars are as much a hero as Michael Jordan is in this country. Sports is serious business. And it is uniting the world, preparing people for the political, economic, and religious uniting which is the stone for the New World Order. Now that we have shown you how International Sports, including the Modern Olympics, is moving the world toward the New World Order, what should our response be? Should we oppose such sports endeavors? Should we try to keep our athletes from competing in the Olympics? We think not. These sports, in and of themselves, are not wrong. Athletes who compete are not committing any sin. We simply must be aware of the fact that New World Order leaders view these games as a very effective vehicle to unite the world into the New World Order. As we have said many times, our struggle against the New World Order is a spiritual battle. We must intensify our efforts at prayer and witness. Any Christian competing in these Sports Events should use this opportunity to witness to others from foreign lands about the saving grace of Jesus Christ. The New World Order is coming, and the Modern Olympic Games is helping it mightily.